I can’t believe that only 6 months have passed since I attend the Google Teacher Academy in London in April earlier this year. Since then, I have visited Slovakia on a European Teacher Trainee exchange, qualified as a primary school teacher and started my first teaching position with a class of 36 energetic and inspiring year 4 children (8-9 years old). As I am just starting as a newly qualified teacher, the technology I love has had to take a back seat while I establish classroom routines, conquer a myriad of behaviour management techniques and generally cope with the 1001 things that you need to do as a classroom teacher that never occurred to you as a student. However, I have been very fortunate to find a position where the Senior Leadership not only support my interest in technology but actively encourage it and slowly I’ve started to have time to get our Google Apps account up and running. We have started three class blogs this week and have made blogs to share learning logs (homework) and the marvellous moments we have in school. One of the blogs is for my class, the other two are for the classes taught by the senior leadership team (foundation and year 6). It has been wonderfully inspiring to help them get started on this journey. We will be publicising the blogs to our parents soon, having first built up a few teacher-written posts. Once permissions are sorted out from parents, we can start to give the children accounts and they will be able to write blog posts and comments themselves. So far we are on track for developing blogging at the school over the coming year. Without attending GTAUK, I don’t think I would have had the confidence to set up the Google Apps for Education account myself. 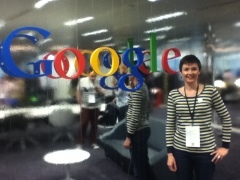 The Google Certified Teachers I met in London have been an amazing source of wisdom, help and advice. I hope that with this support and the encouragement of my senior leadership team, our use of technology in school will be transformed by the end of the school year to be relevant to children, practical and easy to update, child-led and reach out beyond the physical school and into the wider community beyond. On 16th April I will be in Bratislava, but that won’t stop me presenting to our ICT Specialist day on our PGCE course. I’ve made a short video with some of the things I learned at Google Teacher Academy last week. Creating a google form for an online survey (The Big Breakfast survey: http://bit.ly/JoBadgeGoogle ). See how the spreadsheet updated . Some suggestions of how to use them in the classroom. Other stuff that might be useful…. Video was made using Screenr (free screencasting direct from your web browser) and iMovie. It was an amazing and jam packed two days. I’ve tweeted and bookmarked and blogged on G+ but I felt I needed to take some time to pull together the stand out moments from Google Teacher UK 2012 for me. The community – sitting in a room full of incredibly inspiring and talented educators cannot be under estimated. While the Brits in the room winced at the whooping and cheering, I’m sure we all felt just as excited and privileged to become part of this community, we just don’t like to shout about it 😉 I know that I will rely on the help of those I’ve met in the last few days, and I know that I will help them too. Connections to people are incredibly important. I feel I have made some invaluable connections to people that will sustain my teaching career for a long time to come. The tools – I’ve picked up so many tips and tricks that it is going to take me months to digest and think about how I can make best use of them all. I have bookmarked as much as I can on delicious and will steadily work back through them when I can. The kit – I used a Chromebook borrowed from google to blog and tweet and take notes. I was really impressed with it, fast start up, easy to use and once I had got used to the fact that there was no storage on it (still not sure where screenshots and files went from the ‘file shelf’ that popped up when I downloaded or saved stuff) it was a great workhorse. Chrome was central to that, being able to access all the bookmarks, settings, extensions, etc immediately. They were all set up there waiting once I had signed in to the chromebook and it was a massive boost to my productivity. What’s more I know that when I go back home all the stuff I’ve added over the last two days, will be there ready and waiting for me on chrome on my iMac. Working on the chrome book made me realise that 90% of my work is now online, so I really should pay more attention to the workhorse behind that, my browser. The philosophy – the tone of the meeting was undeniably American in it’s positivity (whoops and all), but the genuine passion and enthusiasm for everyone to do their best for the children or other educators that they are working with was truly inspiring. We can be particularly rubbish in the UK about celebrating our successes and having a ‘can do’ attitude, we love to be the cynical one in the back, disrupting the backchannel, but I was grateful to be in a room where is it was cool to be a geek and cool to love teaching. 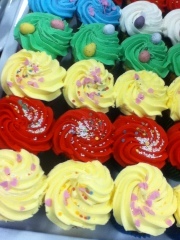 Personalising learning was a huge theme across many presentations and discussions, and I’ll give that a whoop any day! The mission – taking this knowledge and these personal connections forward and back to my own community of teachers and students is going to be difficult but an essential part of the programme. We were given some amazing stats about the number of people and children we can influence as Google Certified Teachers, I’m thinking carefully about my GCT action plan and how best I can share what I have learned and begin to build some communities of practice in my local area and amongst the my peers in the PGCE cohort at Leicester University. I know I need to start with some practical tips that will give quick success and some of the tips I’ve learned about YouTube may be the starting point. Google Teacher Academy, UK 4 April 2012.
set up a dedicated G+ page for my notes and posts from the event. I’m planning to start one post per agenda ‘item’. installed two Chrome extensions (silverbird and extended share for G+) so that I can follow the twitter stream and the #gtauk tag and post my G+ updates to twitter. (Silver bird does a great job, you can even add a hashtag search and have the results feed into a ‘unified’ tab of all incoming tweets, all hovering nicely over your browser). changed the settings on my iPad2 and iPod touch to upload photos automatically to my G+ account using the G+ app (in fact once this setting is turned on, the photos upload without you taking them from within the app). These are private until I choose to share them. The main downside I can see here is that they are uploaded to my profile account, not the page. set up a search on the #gtauk on G+ and saved it to my page and profile. make use of delicious / packrati.us to bookmark any useful sites via twitter using ‘#bm’ in the tweet (auto bookmarks any other hashtags in the tweet, so hopefully should end up with them all under a #gtauk tag on delicious). Backchannel and notes for #GTAUK : how to get the best from G+? I’m beginning to think about the Google Teacher Academy next week and how best to try to take notes, keep a record of useful information and share what we are learning with the outside world. I thought I might have a go at using Google+ to serve these purposes, but I haven’t used it in this way before and would like some advice from anyone that has. My main query is thinking about getting back to the information I’ve recorded later (I haven’t investigated or tested what happens to old posts, I know on twitter they are pretty hard to find after a day or so, what happens to old G+ content?). I’m very aware that there will be a twitter community that might want to follow the events of the day, so perhaps I can set up some scheduled tweets to draw people over to the G+ hashtag? Would a link to a G+ hashtag search work and be dynamic? What about other archiving? There is a coveritlive session set up by Simon, would that pull G+ tags? Plenty of comments over on G+ and I’ve set up a G+ page to see if that is way to collate stuff. Author jobadgePosted on March 29, 2012 March 31, 2012 Categories conferenceTags conference, G+, Google, google certified teacher, GTAUK, Social mediaLeave a comment on Backchannel and notes for #GTAUK : how to get the best from G+? 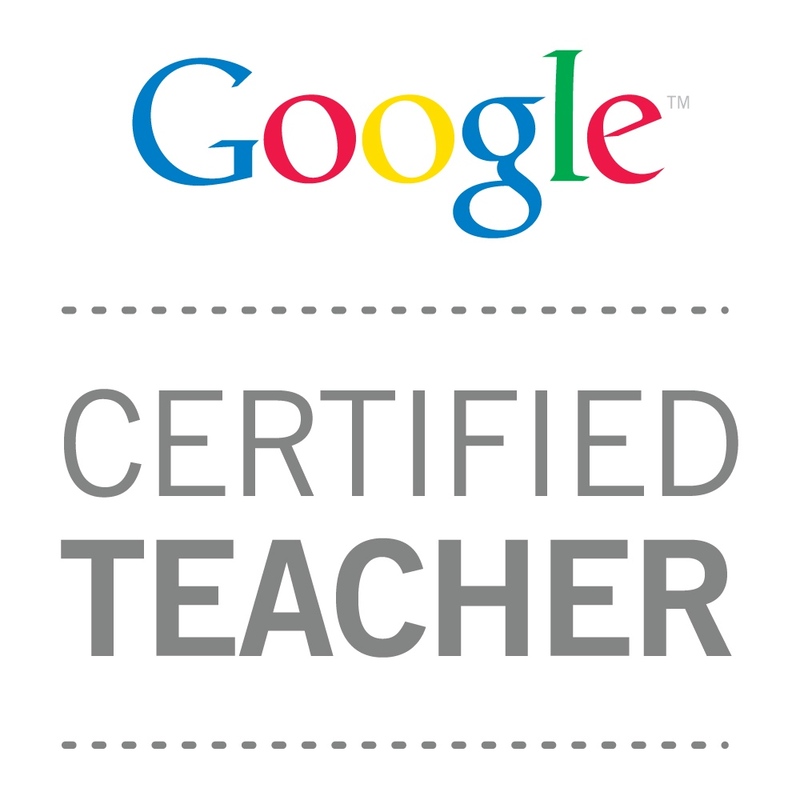 After feeling very sorry for myself on Friday night (lessons I had taught on my placement just didn’t flow), I felt like I had won the lottery when I got the invitation to attend Google Teacher Academy in the UK on 4 April 2012. I had seen some of the other 600 video applications and was fairly sure I would never make the cut, especially once I realised educators world-wide were applying. I am thrilled and rather humbled to have been chosen, and am looking forward to making the most of the opportunity and sharing my luck as widely as I can with other colleagues and twitters. For the record, the application was in two parts, a written submission and a one minute video which can be about ‘Classroom innovation‘ or ‘Motivation and Learning‘. I chose classroom innovation. This was appropriate for me as a trainee, as I know I will be expected to bring fresh ideas to the profession. I can’t wait to get started! One of my aims is to build up a community of educators on G+ that I can share with and learn from.